When wearing a football helmet, the only part of your head that feels vulnerable to injury are your eyes. This is why players buy football visors, which attach at the front of the helmet to protect the more sensitive parts of your face. In this buyer’s guide, we’ll review some of the best football visors on the market in 2019 to protect your eyes from sunlight, gouging, and debris. No time to waste? Use the table below to quickly compare the football visors we’ve looked at. Fits nearly any helmet without the need for specialised tools. Massive range of styles available. Looks awesome & the tint is nice and light. Why use a football helmet visor? To shield their eyes from sunlight, allowing them to see down the field when the sun is low. For protection against debris/the opponent’s fingers when running or tackling. This gives the player more confidence to make clutch plays. To prevent an opponent from predicting a player’s movement by seeing where they’re looking – where they intend to move or throw the ball. Am I allowed to use a football helmet visor? 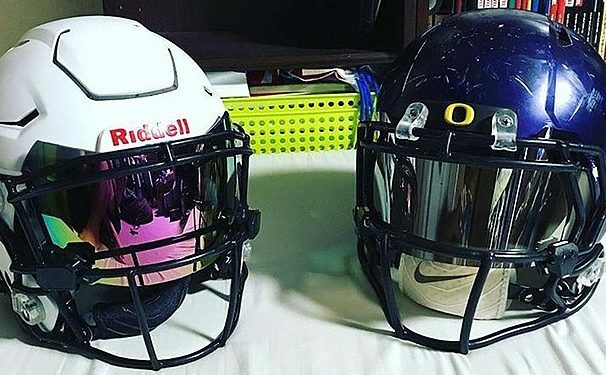 Clear visors are allowed in nearly all organized games. However, high schools, pee-wee leagues, the National Collegiate Athletic Association (NCAA) and the NFL have all banned tinted visors. This is because they can make it difficult for coaches and medics to see a player’s face in an emergency. Despite this, players can request special permission to use tinted visors, and some mens’ semi-pro leagues allow them. It’s best to ask your coach or association if tinted visors are allowed if you’re looking for the best possible protection from the sun. Remember, clear visors can still help to block UV light and reduce glare. What football visors will fit my helmet? Football visors come with 2-clip and 3-clip attachment mechanisms. The 2-clip version will fit most helmets, while the 3-clip version will only fit helmets with 3 mounting points. You should check whether your helmet is suitable for 3-clip visors or not. In this guide, we’ve only included 2-clip visors because they’re the most popular and they’re much easier to install. What features should I look for in a football visor? Depending on your helmet and the visor you choose, this process can be a bit tricky. Check out this video to see how it’s done. Photo by https://www.flickr.com/photos/kyleengmannfl/page1/ licensed under CC BY 2.0. If you’re like most football players, you’re not allowed to wear tinted visors, so you’ll need something see-through. We’ve reviewed 3 of the best clear football visors based on durability, sturdiness and protection against eye gouging and debris on the field. 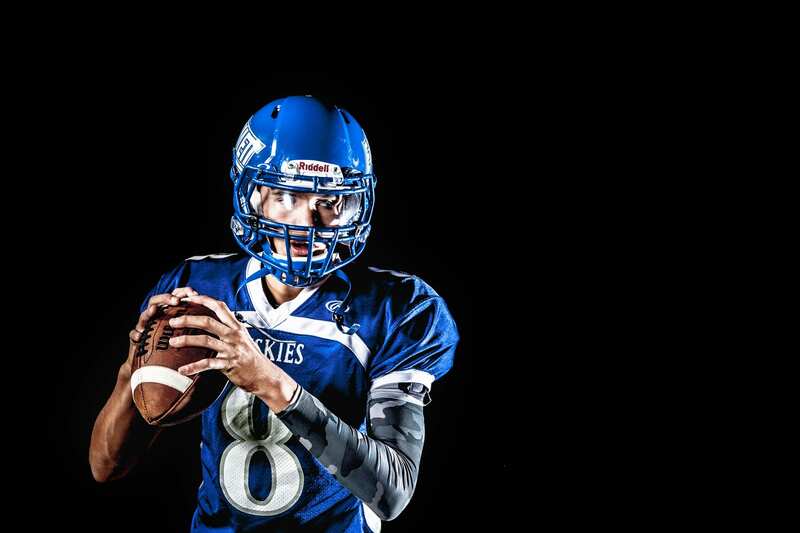 Surprisingly, some clear football visors are great at reducing glare and filtering UV light, and this shield is an example of one such product. Although it won’t diffuse the sun’s rays as much as your regular pair of sunglasses might, it successfully reduces glare while still being game-legal. What’s more, this visor has a universal 2-clip fit system, meaning it will work with nearly any youth/adult helmet on the market. In terms of protection, the plastic itself is nice and thick (3mm) and an anti-scratch coating is applied to the visor face. As a result, Barnett’s product is super durable and is sure to last for multiple seasons. The only downside to this visor is it can be a bit fiddly to attach at first depending on your helmet (particularly for youth players). However, it’s undoubtedly great value for the price. Can be a bit tricky to attach on some helmets. 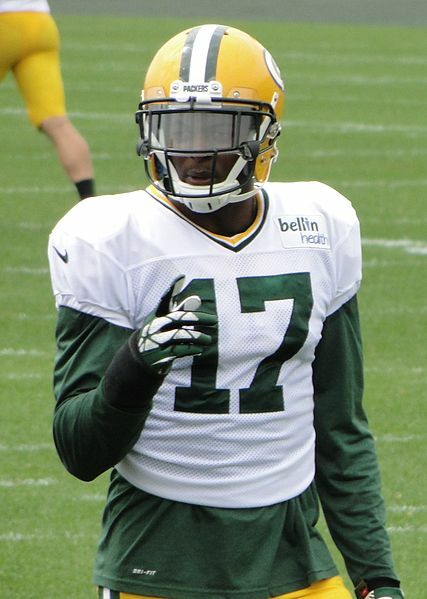 EliteTek’s clear visor is quite similar to the Barnett eye shield we just looked at. Like the aforementioned product, the EliteTek visor is reasonably priced, does a great job reducing glare, and has a universal 2-clip attachment mechanism. However, this product comes with the company’s money back guarantee. EliteTek promises to refund you if you’re not satisfied with their product. If you’re prone to breaking visors easily or you’re not sure you’ll like the visor before you see it in person, this guarantee can really come in handy. The downside to this visor is it can scratch quite easily. If you’re a lineman the visor can develop superficial scuffs pretty quickly. Remember, if you happen to get a big scratch that hinders your vision you can take advantage of EliteTek’s refund offer. Can get scratched up pretty easily. For a slightly higher price, Under Armour produces a more durable football visor that is less likely to scratch. The polycarbonate material used and the company’s anti-scratch coating ensures that this product is incredibly durable. It should last for at least a season or two for even the most dedicated of players. So what else do you get for the additional cost? Under Armour’s product is noticeably lighter than the cheaper options on the market. This ensures that the visor doesn’t affect the balance of the helmet when it’s being worn. You also get all the features of the models we’ve looked at so far – a universal fit, glare protection and quick-release attachments. N/A – great value visor. Original photo (since cropped) by FootballEquipment on Wikimedia licensed under CC BY-SA 4.0. For superior glare reduction and protection from UV light, you can get tinted football visors that function like large protective sunglasses. However, as we discussed in our buyer’s guide, these products are banned in most school/college leagues, so be sure to check that you’re allowed to use them before buying. With up to 40% light transmittance (that’s the amount of light let through), this visor is perfect for morning/afternoon games when you’re running into the sun. If you play with this shield at night you might have trouble seeing the ball at a distance which is why a SHOC also makes a clear version for such conditions. Apart from glare reduction, why on Earth would I buy a tinted visor that isn’t great in dark conditions? Because they look dope, that’s why. SHOC’s visor comes in a heap of awesome colors – they have everything from rainbow to “tiger blood iridium“, which is basically a glossy red. Plus, the Lightning 2.0’s hydrophobic surface is very effective in combating against fogging from your breath, and the visor fits nearly all helmets. Choosing between the EliteTek Prizm and the SHOC Lightning 2.0 comes down to personal preference, as they cost pretty much the same amount. The Prizm has 60% light transmittance, meaning it lets in more light than the Lightning 2.0. If you play or train at night on a regular basis this would be beneficial, as visors that don’t let in much light can make it hard to see in the dark. However, if you live up north and you’re fed up of being blinded by the sun, the Lightning 2.0 (with its 40% transmittance rate) is probably your best bet. If you’re still not sure which visor to get, consider EliteTek’s money back guarantee – they promise to refund you if you’re not happy with your eye shield. You should also consider what color you want – the Lightning 2.0 comes in a bigger range of styles, but you might find that you prefer the green, blue, purple or yellow options that EliteTek offers. A bit pricey, but you can take advantage of the money back guarantee if you’re not satisfied. We’ve mentioned EliteTek in this guide quite a few times now! But there’s a good reason for this – they’re the only visor brand with a money back guarantee if you’re not satisfied with their product. What’s even better is you probably won’t have to use the company’s offer. As with the other visors we’ve looked at, this shield is scratch and fog resistant. The polycarbonate composite material is super durable, and it fits nearly any helmet. However, the best feature of this visor is the light tint. Not only does the mirror effect look awesome, but your eyes can still be seen from a close distance. This means that you should be able to use this visor in junior/high school leagues, depending on how strict the guidelines are. As always, check with someone in the know before you buy. Despite the tint being quite light, this shield does a good job in terms of glare reduction. None to mention – really good visor for the price. Hopefully this buyer’s guide helped you find the right football visor!